They have taken 32 YouTubers who all have under 10k subscribers and put them in a tournament together to find out who you guys deem to be #1! Today sees round 2 kick off and you have 3 days to vote for your favourites. If you check out the Best of the YouTubers at our partners at FUTWIZ, you can check out who is in the tournament! You can then watch their video so you can decide who you think is best. Each round will go on for 3 days and you are able to vote once a day for these 3 days. And they keep going until they have the final 2 and then you guys vote for your #1 and they will receive a prize of $2000!! But don’t worry they have lots of Awesome Prizes! for you guys too. They have some Elgato Game Capture Cards and Razer Goodies and a few more things to give away too! 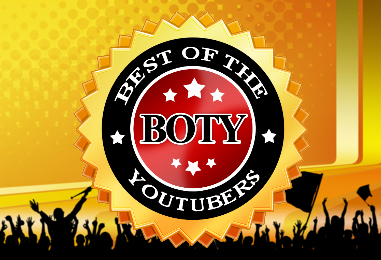 So head over to the Best of the YouTubers page and start voting or head over to their FUTWIZ Forums to discuss the matchups. Also subscribe to our Twitter and Best of the YouTubers Twitter to keep up to date on how to win our awesome prizes we have on offer. This is a great concept and we would like to pass on our thanks to NepentheZ, Calfreezy, AirJapes and FUTWIZ and to all the community for supporting this.